What a beautiful hotel. 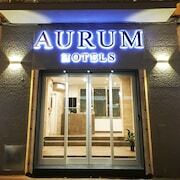 Rooms are spectacular and the staff is very friendly. They made my stay in Florence very special. Highly recommend. 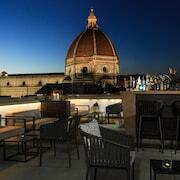 Convenient location to explore and experience Florence. Very dirty rugs. Very worn out rugs. Toilet seat fell off when lifted lid. Asked for nonsmoking room. Room smelled of cigarette smoke. I could hardly breathe from smell. A great hotel in the heart of Tuscany. Comfortable, relaxing, and quiet. We loved our stay at Hotel Royal. Breakfast, the pool, the grounds and crew were wonderful! Special shoutout to Manola, Ricardo and Dhano, thanks so much. We hope to return soon!